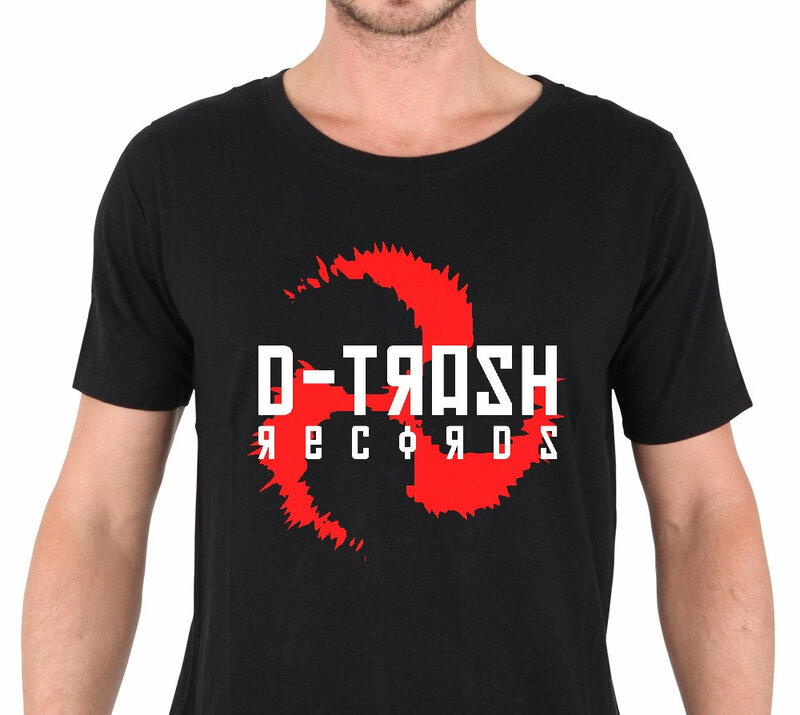 D-TRASH Records celebrates its 15th year of operations with a t-shirt, anticipating the 200th release - a t-shirt that will come with a forthcoming digital download coming Valentine's Day 2015. 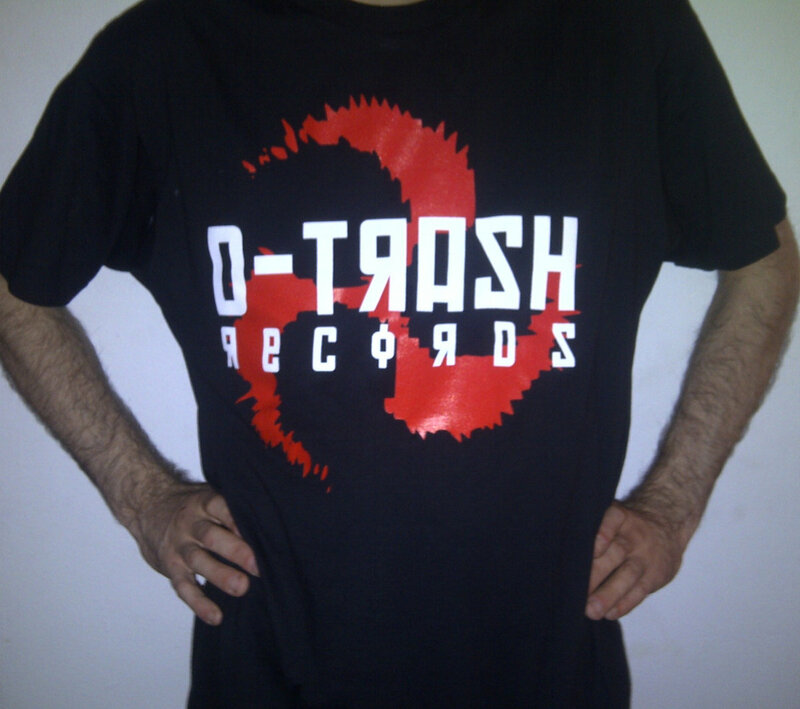 D-Trash soviet type over top of stark red triskele on comfy black t-shirt. 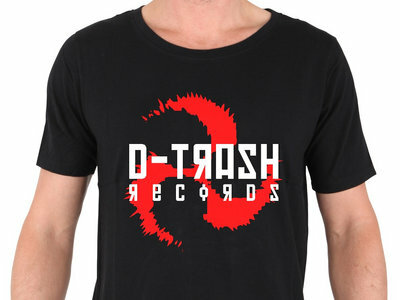 When the apocalypse hits and they're bulldozing up the bodies, won't you want to be found in one of these? 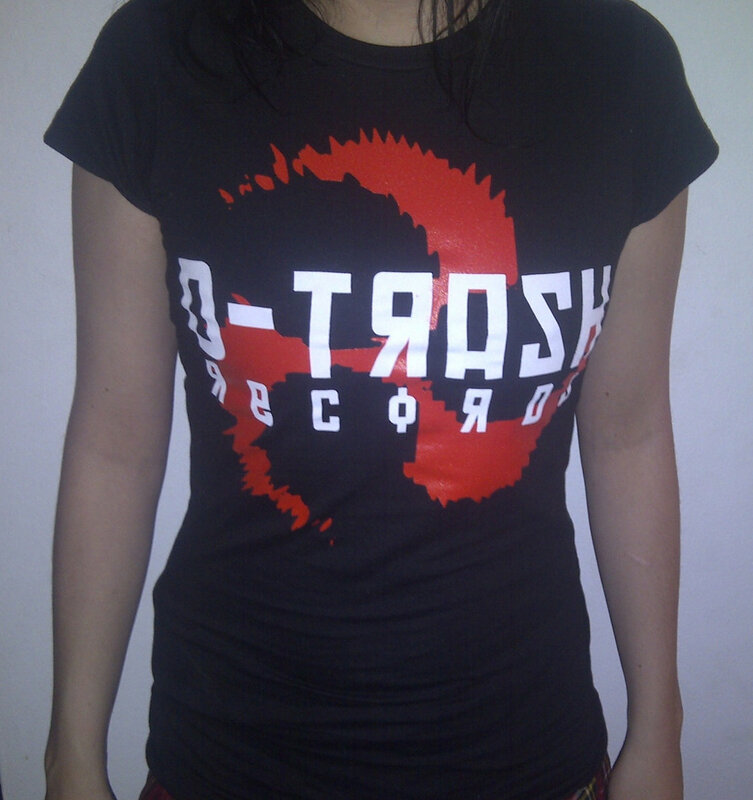 SCHIZOID, RENEGADE ANDROID, HYPERDRIVER, BOSSFYTE, JUL!E D:STROY, NO BRIGADE, NWODTLEM, TUAREG GEEKS, NOT HALF, BABYLON DISCO, PHALLUS UBER ALLES, THE FIRST SEED, ACID ENEMA, NOCORE, ROBOT(A), HEARTWORM, MIDI FISTER, HIMIKO, FAMINE & MORE..
S - 23" | 18"
M - 25" | 20.5"
L - 26.5" | 22.5"
XL - 27" | 24.5"
Includes unlimited streaming of DTRASH200 - Trash The World via the free Bandcamp app, plus high-quality download in MP3, FLAC and more.